Here’s a 7” I scored in a local dollar bin, hidden among a series of lesser singles. This record hails from the US, was released in 1983, and features a minimal synth sound combined with the male/female vocal melodies of X. A curious, but successful blend, especially on the A-side. There seems to be a full length LP from the band, released in 1981. I’m not sure it’s the same band, since I haven’t had the chance to check it out yet, though the time period and country seem suspect. You can check it out here or here. However, while it seems likely that it’s the same band, I’m still not convinced. All signs point to Austin, TX for this 7”, while the LP was recorded in Rosendale, NY (not too far from where I grew up). If anyone can shed some light on this one, please do! Otherwise, enjoy! Here’s a killer 12” I picked up in Chicago this past weekend. Shameless synthpop grooves ripe for the dancefloor here- three versions of the same track. The A-side is the club favorite, though those inclined towards instrumental mixes will find two on the flip. This particular 12” dates back to 1984 (the original version of the track from 1983), and is the first of three from this Belgian duo. Jan Van Den Bergh would achieve success as a major techno/house mixer, as well as the head of the highly influential Buzz label, a mysterious label who released several groundbreaking Detroit techno records in an overseas market. There’s also a 7 minute version of the track kicking around on a 12”, released around the same time. 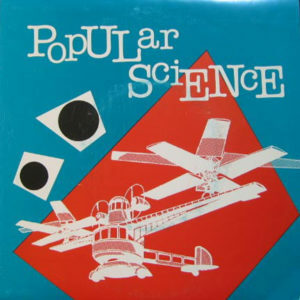 The b-side is the same (though the original 12” lists the second instrumental here as the “Dynamic Mix”), while the a-side appears in its original, non-remixed form. I believe that version has been uploaded here, so check it if you want the complete experience! John Costello is still making a plethora of music, spanning several electronic styles. You can check out some of his current work via Myspace. Also, for those interested, there are some great live videos from the infamous Cardiff concert (March 18th, 1989) available via Costello’s YouTube channel. Click here to check ’em out (scroll down the upload list to view the performances), and expect some more goodies from the Network 23 crew to follow. I’d also like to thank both John Costello and label head Kevin O’Neill for all the info, support, and generosity over the past few weeks! 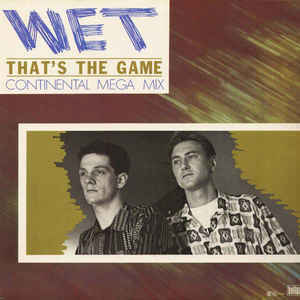 Here’s a tasty synthpop single from 1984. 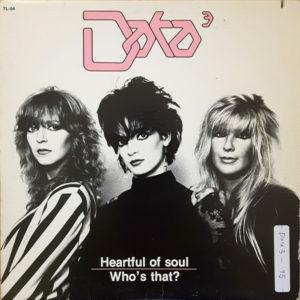 This is the band’s only release, a three piece female fronted group from Canada who remind me a bit of The Flirts crossed with The Bangles. Pure dancefloor energy on both tracks, though I tend to favor the A-side (which is a clever rendition of The Yardbirds classic). The 12” was issued via Telescope Records, while a 7” was released in Europe via Dureco Benelux, which features slightly shorter mixes. This one has been on constant loop since discovering it, and it can still be had for reasonable prices if you know where to look! Not much more I can say about this one, other than: ENJOY! Here’s a 7” from the UK that I can’t seem to get enough of lately. Virtually no info to be had out there on the web, but I do know this record dropped in 1981 via Chicken Jazz, who released several records by The Waterboys. 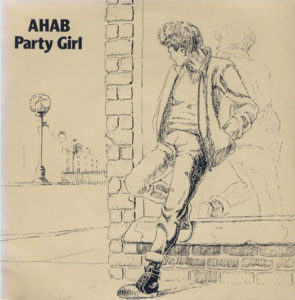 The cover looks a little reminiscent of A-ha’s “Take On Me” video, but the styles are quite different. Here we have what seems to be two one-man minimal synth tracks. The a-side has a bit of a Felt/Eyeless in Gaza-esque vibe to it (a sound I very much enjoy), and features lyrics I’m sure everyone can relate to. The second track (a cover of a classic 70s ballad) is a bit more driving, but still has a bit of sadness behind the uptempo melody. All in all, an excellent obscurity to kick off your week! Cassettes, the final frontier. This particular tape has been on constant rotation over at SOR headquarters since receiving it on a generous loan. Not a lot of information on the web about this release, but there’s quite a bit of info on the cassette itself, so I’ll do my best to explain. This particular cassette was released in 1993. 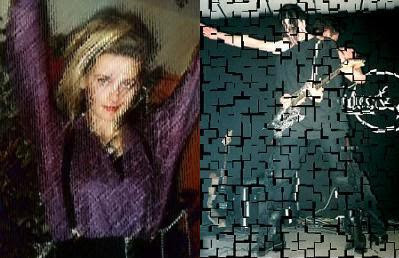 The band were a three piece darkwave act from France (Axel Evigiran and the above pictured Lydia on vox and Orphee Hangiclist on guitar and programming) flirting with hints of EBM and coldwave. The sound should be right at home for fans of Babel 17, Neutral Project, Nagamatzu, and Peche Mortel (whose demos are some of the best treasures uncovered on the internet). Nice and dark, gritty, yet with catchy electronics permeating the mix. 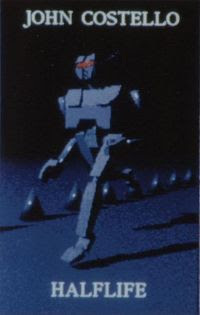 While this is their first cassette, the band released two more tapes into the mid-90s. Perhaps those may see the light of day in time… For now though, enjoy this excellent slice of pure French coldwave. I have to admit, I always have fantasies of finding extremely rare and valuable records tossed away in the dollar bins. I’ve had my fair share of luck over the years, as I’m sure many have as well, but today’s post was an unexpected gem, unearthed from one of my favorite record shops here in New York City. I have seldom seen a copy of this one for sale, and it’s usually expensive when it creeps up. This LP has been on my radar for ages, as I’ve only heard two tracks from this artist. One earlier track from the debut 12” can be found on Nick’s excellent VA comp, and I included an alternate version of a track from this LP on one of my own. 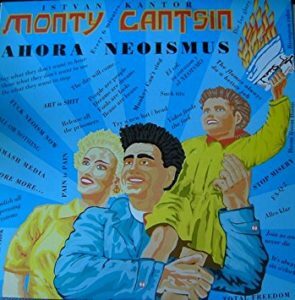 For those unfamiliar with the concept of Monty Cantsin, the original artist (who I believe was Canadian) was a firm believer in Neoism, a musical practice with a highly underground philosophy. The original artist in question encourages any and all to perform under the same moniker, and many have. You can read more about Neosim here, and read more of the history of Monty Cantsin here. We encourage you to copy, reproduce, and spread these songs and ideas by any possible means. Call yourself Monty Cantsin. Do everything in the name of Neoism. Neoists live to initiate revolution and to find Akademgorod, the Promised Land of Neoism. In this land, all mechanisms of logic are broken, control is impossible. The Great Confusion rules. The basis of Neoism is, was, and always will be the song. Here’s one that’s completely off my radar, as in, I can’t find any information about it whatsoever. Really excellent demo tape from a band called Glades of Darkness, who seem to have a very Italian sound, judging from the songwriting, atmosphere, and use of electronics. They fit in right with bands like Weimar Gesang and Chromagain, but no real knowledge of their time and location to be found. Sounds mid-1980s to me as well, but I can never be too sure about these things! Either way, fans of those bands as well as gloomy minimal synth and coldwave should find lots to love here. If anyone could tell me anything about this band, it would be most appreciated! Enjoy! Lots more goodies to come over the next few weeks!